Everyone always talks about how expensive it is to have a baby. 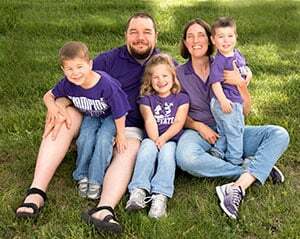 Just the other morning I heard a news segment on the stress of raising multiple children, especially when they’re young. During the piece, the announcer flashed some stats up on the screen showing the massive costs of raising one child. They quickly got up to six figures and that was before factoring in college costs. I see this all the time and sometimes it makes me mad because I know it’s not necessarily true. I don’t agree that having a baby has to cost a fortune, because the truth is, it doesn’t . Babies are only as expensive as you make them, and they can actually help you save money in some surprising ways. When I was pregnant with my daughter five years ago, I made it my personal mission to show how frugal I could be. Everything in her nursery was a hand-me-down, which I either purchased used or was given to me for free, and that included her clothing, changing table and even her crib. I was a money-conscious, penny-pinching soon-to-be mom, and I loved nothing more than shopping a good yard sale or consignment shop for my baby. I was out to prove to the world that babies don’t have to be expensive and that used items are not dirty, but just as good as new ones. And then I had my baby, and, surprisingly, my overall expenses decreased even more. Here I was, not bringing in an income while on maternity leave, and I was somehow saving even more money. Because I was busy at home trying not to break my baby and completely scared of taking her anywhere outside the comfort and privacy of our home, I wasn’t out spending money. I clearly suffered from First-Time-Mom Trepidation (don’t look that up in a medical dictionary, because it’s not there), and I hardly think I’m the first new mom who has experienced that feeling. While I realize this may not be everyone’s experience with their first baby, it certainly was mine. 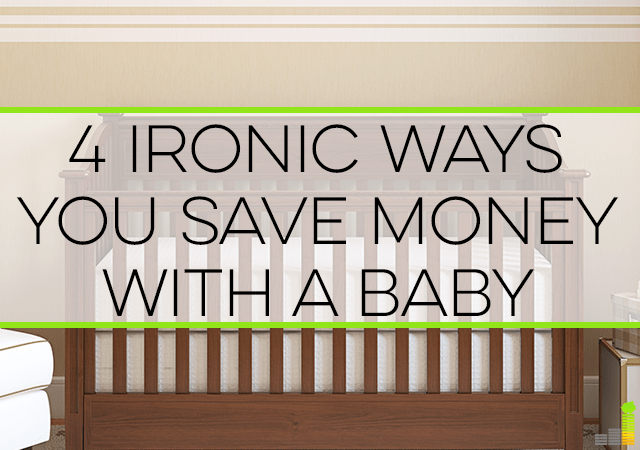 Here are four ironic ways you can actually save money with a baby. When I had a newborn, I was too scared to go anywhere. I know a lot of new parents experience those same feelings, but I took it to an extreme level, so much so that my parents would come from out-of-town just to make me get out of the house, with and without the baby. Once, my father came down and practically forced me to go to a restaurant with my daughter. I really didn’t care to go, but I did anyway and somehow, miraculously, we survived the trip. As another example of my nervous nature, the first time I went to the grocery store with my newborn, I was so frazzled that I had no idea what I was doing or where my purse was, and I remember thinking that someone could have stolen my wallet so easily that day, without me even realizing it. And I was only at the grocery store! I was so focused on my baby and getting my task done that I wasn’t exactly graceful about it. The first few times you venture out with your first baby, it will probably take about four hours to get out the door. First you make sure that the baby is clean, fed, changed, and happy, but after realizing that A.) all of that can change in an instant and B.) by the time you get done with all the steps, it’s practically time to start over with the process, you realize that it’s hard to find the perfect time to get out of the house. 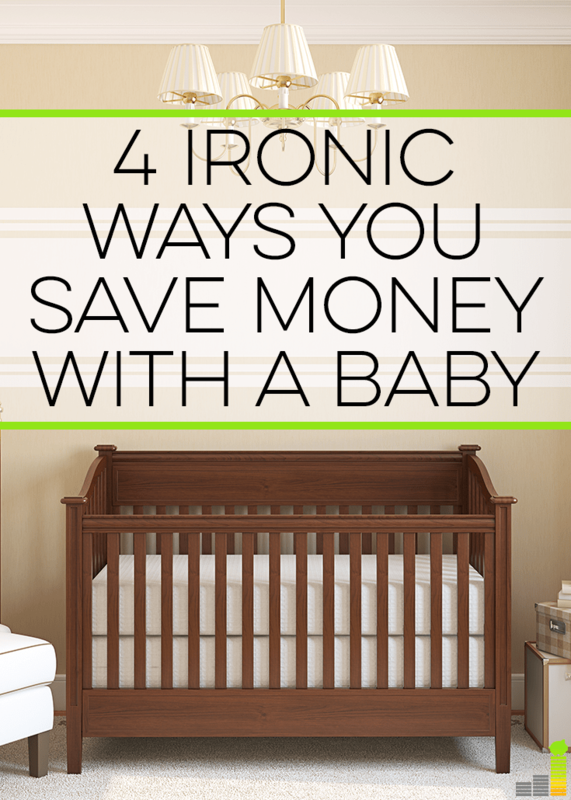 So you just don’t go out as much (or at least I didn’t) and that has a side effect of making it a little easier to raise a child on a budget. Going out to a restaurant with a baby isn’t exactly a relaxing experience. My 28th birthday dinner resulted in 12 minutes of a rushed sushi meal while my one year old attempted to climb over me into the next booth. It was hardly relaxing, and I wish I had saved the money instead. The way for me to solve that problem was to cut down on our restaurant spending. I learned to plan for meals, grocery shop once a week, and cook everything at home, which ended up saving us a lot of money. If you’d like to start meal planning, but haven’t had success in the past, check out $5 Meal Plan. You get a free 14-day trial and they help start you out on forming meal plans that will save time and money. Thankfully, I’m no longer such a timid mom, and now I look back on all of my previous jitters and laugh at myself. Or I look at people who have twins (like Cat), and I think about how silly I was that I could hardly handle one baby. It’s a little embarrassing to remember. Today, my daughter is a thriving (slightly sassy) 4-year-old who wants nothing more than to join me everywhere I go. I’m no longer scared that I’m going to break her or that she’ll throw a temper tantrum on every outing, because now I know how to handle my child. Learning how to become a good parent is full of personal trial and error and (luckily) growth, and I’ve clearly come a long way. Were you scared of your first baby like I was? 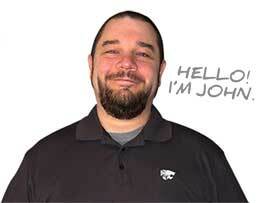 Did you have any silly (or embarrassing!) incidences? What ways did you find having a baby allowed you to save money? My daughter is 4, and the last few times we’ve gone to a restaurant, she’s been in my lap as well… but I guess I should savor that while I can since one day, she will want nothing to do with my lap. Yeah, it’s totally not worth going out to dinner with a baby in my opinion. We stayed home a lot when our children were infants! Sounds like ordering pizza will be the way to go! Ha I don’t have any kids yet, but I can see how all these will be so true! Thanks for the post! Sadly, we’re just entering into the random meltdowns while shopping phase. Thankfully, my son takes well to my saying no to everything he pulls off the shelf, but he wants to push the cart, ride in the cart, climb into or under everything. When it comes to toddlers, in and out with a list is the key (and not giving into the “Need” for some caffeine at the end). Isn’t it so much easier on those rare chances you get to shop alone?? You never think about it until you have a kid of your own! Yeah, if we do have a kid I’ll be paranoid as hell, I’m sure. Luckily, we have my in-laws in our guest house. So if we do leave, we’ll be leaving the baby the in hands of relatives, rather than some young babysitter. Diapers will hurt the budget, but I’m sure we’ll figure it out. That’s lucky that you have your in-laws close (at least I think it’s lucky. 😉 We are on our own in that arena, since both our families live over an hour away in opposite directions. Haha oh my these are great points! I’m so focused on the costs of having children that I sometimes forget about all the unexpected savings that come with having a baby. Now that you mention it, when my friends have had babies they totally are homebodies. If they want to hang out, they invite you over versus go somewhere so there’s money savings from staying in. Great points! It’s so true– once you have a kid, it’s just way easier and less stressful to stay at home rather than go out. Good point about the restaurant bills. I didn’t even think of that. Perhaps because I don’t go to many restaurants now (cook meals in advance at home)… sad face.